In Mystic Emporium, Lilly fulfills a lifelong dream in opening a magic shop where customers request mixed potions or pre-made products. Customers come from all magical walks of life including witches, wizards, vampires, monsters and ogres. When customers come to the counter, a bubble pops up with their order. The order can involving mixing up a potion in your cauldron, serving a pre-made product or growing a plant until it has the ingredient you need. This sounds like a lot to do on a little screen from a game that originated on the PC, but 99Games pulls it off nicely. The purpose of each of the 24 levels is to earn enough money to reach the money goal for the level. When you succeed, you move on. When you fail, you replay the level. The customer’s order comes in a thought bubble. For artifacts, just tap the item and tap the customer and that’s it. The customer leaves cash behind and you need to pick it up or you don’t get paid. Another customer may request the same artifact, but you can only have one on the shelf at a time. So after selling an artifact, Lilly needs to tap the shelf for a replacement. But most orders won’t be as simple. When you receive a potion request, you need to tap the ingredients and tap the cauldron to drop them in. After the potion cooks, tap the cauldron to grab it and deliver it to the customer. Occasionally you’ll need a feather from a phoenix to complete your potion and you have to wait for the phoenix to produce one after tapping the bird. Sometimes you need to grow an ingredient on a plant. The plant needs ingredients to grow. Tap the needed ingredients and then tap the plant. The plant lets you know what it needs until it produces the special ingredient. Between levels, you can buy upgrades for the store. These include faster cauldrons, extra storage for completed potions and something to help customers be more patient. Also a mini-game pops up every few levels where you match at least three of the same object to earn more charms. 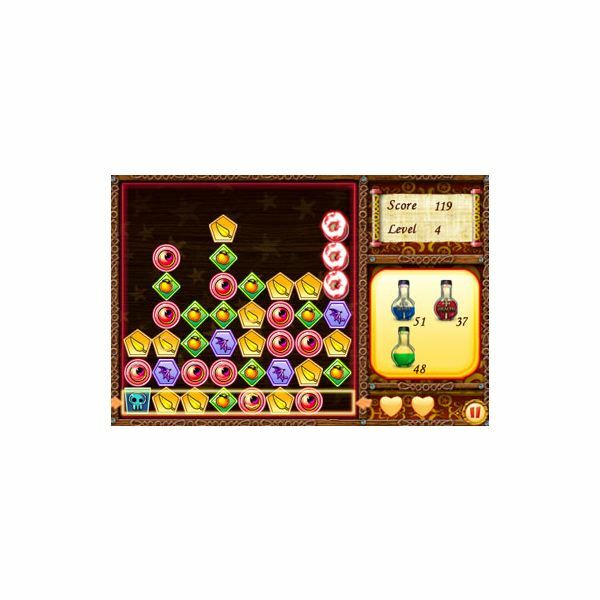 Time management games do challenge on the small screen because they require precise tapping. Mystic Emporium is no exception. You also need to watch the tapping as it’s very easy to miss. Every missed tap is a moment wasted. By the time you reach level 10, you can’t afford to make mistakes. It takes a little practice to get the hang of all the things you need to do to complete customer orders. Once you do, Mystic Emporium turns into a magically good time with its variety and gorgeous graphics. 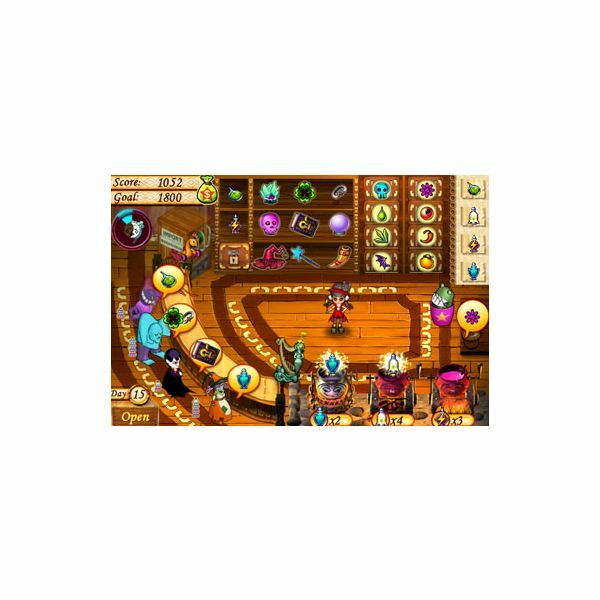 Mystic Emporium sells on iTunes for $3.99.